Recognize outstanding achievement with our stunning Rosewood Executive 4 Pillar Piano Finish Desk Clock! 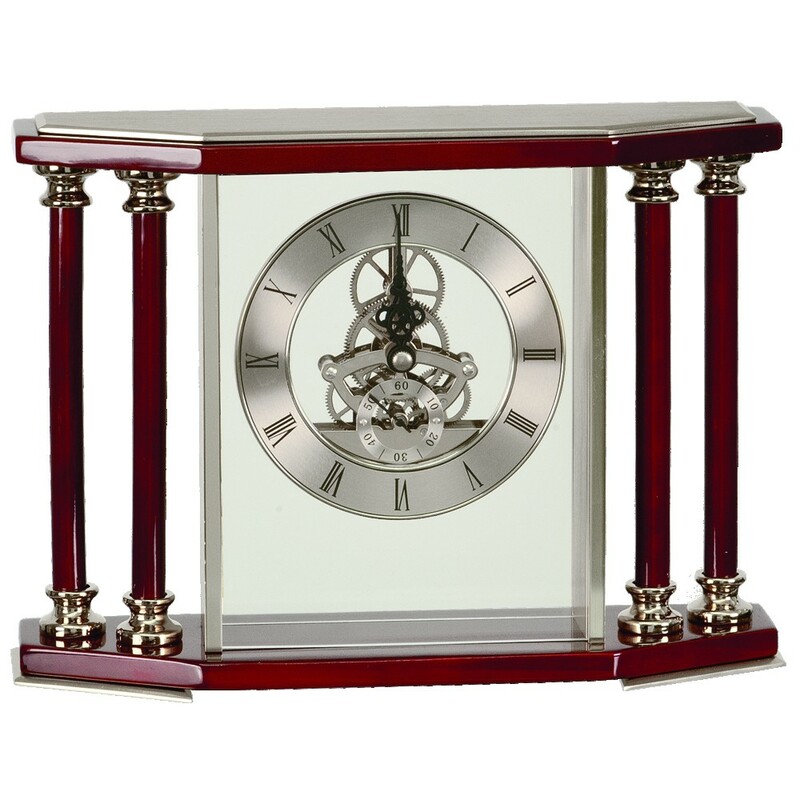 This premium desk clock measures 7 1/4" tall, with a glass front and a 3 3/8" diameter clock face. The sides are flanked with two rosewood pillars, adorned in your choice of brushed gold or brushed silver metal accents. A brass plate with your personalized message is attached to the top of the clock. Includes AA battery and box for gift giving. Ordering More then 15 Click Here For Large Order Quote!